Be 10 Again! 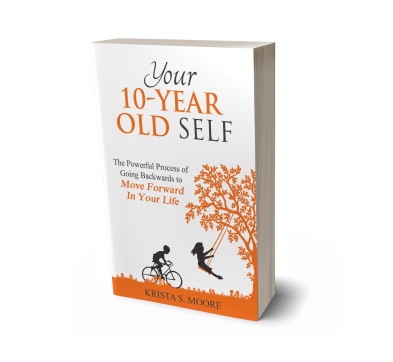 Is a once in a lifetime themed Yoga retreat, based on Krista S. Moore’s book and program Your 10 Year Old Self: The Powerful Process of Going Backwards to Move Forward in Your Life. This week-long adventure will be co-facilitated by Life and Wellness Coach and Yoga Retreat Specialist, Cyndi Bulka, along with Author, Speaker and Business Coach, Krista S. Moore. There is no better place in the world than this tranquil French countryside destination, to experience this relaxed, peaceful and heart-stirring experience. What were you doing when you were 10? Your answer to this question has the potential to transform your life! Ten is a significant age, because prior to 10 we have parental influence; after ten we are affected by peer and social pressure, then hormones set in. At 10 years old, we have unlimited potential, not a worry in the world, and we are our most authentic self.